When you run redis server it complains can not set maximum open files because it has reached the OS max file descriptor limits. Here is the sample output. 28436:M 25 Nov 20:10:03.979 # You requested maxclients of 10000 requiring at least 10032 max file descriptors. 28436:M 25 Nov 20:10:03.979 # Server can't set maximum open files to 10032 because of OS error: Operation not permitted. 28436:M 25 Nov 20:10:03.979 # Current maximum open files is 4096. maxclients has been reduced to 4064 to compensate for low ulimit. If you need higher maxclients increase 'ulimit -n'. When you try to increase the maximum file descriptor using ulimit as root by issuing sudo it returns an error. Wow, WTF is that? ulimit is a shell built so giving sudo an instruction to run a command called ulimit will not work. It will the same as statement below. There is no sound after doing mute then unmute on XFCE 4 Ubuntu 14.04. Try running amixer command to see the status of the Master sound. In above result the status of Front Left and Front Right is [off]. Meaning it is still muted even has been unmuted from the XFCE panel. Try to toggle the switch to make it [on]. We have huge file of gzipped tarball and we want to extract only specific directory from the tarball. Make sure the pattern we want to extract by searching it first. As an example we want to extract directory named johndoe-website, but we did not know the full pattern of the directory. From the output above we knew that the pattern of the directory is home/sites/clients/johndoe-website. Command below will extract johndoe-website from the archive and strip the 3 leading directories. Command above works in GNU Tar and BSD Tar (Mac OS X). Copy SSH public key to another machine without using external tools such as ssh-copy-id - Only pure shell built-in or at least standard commands. The solution is using shell STDIN and PIPE it to ssh. The quote for the ssh arguments is important because without it the redirection will goes to your local machine instead of remote machine. The "-" at the last of cat command on the remote indicate it reads the input from STDIN. Docker only allows to define port that need to be exposed when doing container creation. When the container already running and new port need to be exposed, you're out of luck. You want to expose new port which run by application inside a running container, so you can hit the docker-vm-ip:port to access the port on Mac OS X. Make client application such as web browser to trust our self signed certificate, so we can use any custom domain in development or internal network. The first is to generate private key for our Certificate Authority (CA). Command below will generate RSA based private key 2048 bits key size. Command above will produce a file called myRootCA.key. The chmod command will make sure that only super user and the creator of the key able to read the file. How to enter ssh private key password only once without having managed by Gnome Keyring. The ssh agent should remain detected every time new terminal spawned or even on tty console CTRL+ALT+F1 and so on. We will utilize ssh-add, ssh-agent and little bit shell script commands for achieving the goal. First start the authentication agent and redirect the result to a file so can gather the agent information later. Execute the file so we have the correct environment variables needed by ssh-add. Stop Gnome keyring for managing ssh-agent on Ubuntu so you can use the original OpenSSH ssh-agent implementation. The solution is quite easy because Gnome Keyring daemon provide a way to replace the existing session. Command above will replace the existing Gnome Keyring daemon but it removes the ability to manage the ssh agent. You can execute command below to make sure Gnome keyring does not manage the ssh agent anymore. Expose SSH of the local machine to the internet using service provided by ngrok.com. 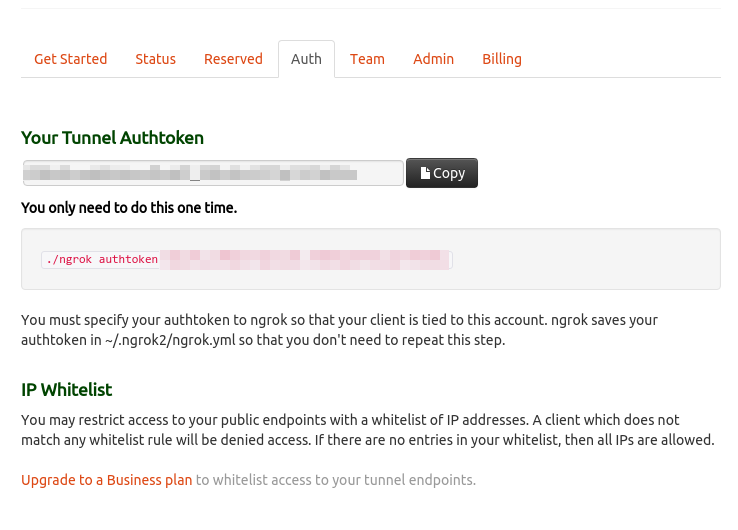 First thing first create an account at ngrok.com so we can get the Auth Token and also can monitor the tunnel created and know the address of the tunnel. Next is create a configurion file under ~/.ngrok2/ngrok.yml to store the token. You can get this token on your Ngrok dashboard. Then create new file called ngrok.conf in /etc/init. Assuming the location of the ngrok binary is on /opt/ngrok/ngrok. Configure internal Postfix installation to relay email to Amazon SES SMTP server. Make sure you have done everything that Amazon SES requires you before you're able to send email using Amazon SES. After that you can start to proceed steps below. Make sure you already have Amazon SES username and secret key. Now we need to add the credential into postfix lookup table. You may change the smtp server email-smtp.us-east-1.amazonaws.com according region where you setup the Amazon SES. Now update the postfix lookup table. Commands listed below shown what issue we had with the forward agent. The authentication was fail because RM2 expect key from RM1 but which ssh agent sent was key from Local Machine. When developing an application there is case when you need to clear all the data in your database e.g: testing the seeding or such. But you want to exclude some tables let say migration table which used by the application framework to migrate the schema. You want to clean up data on all the tables, except the migration table because you don't want to re-run the schema migration. In case above the table which excluded is orb_migration.